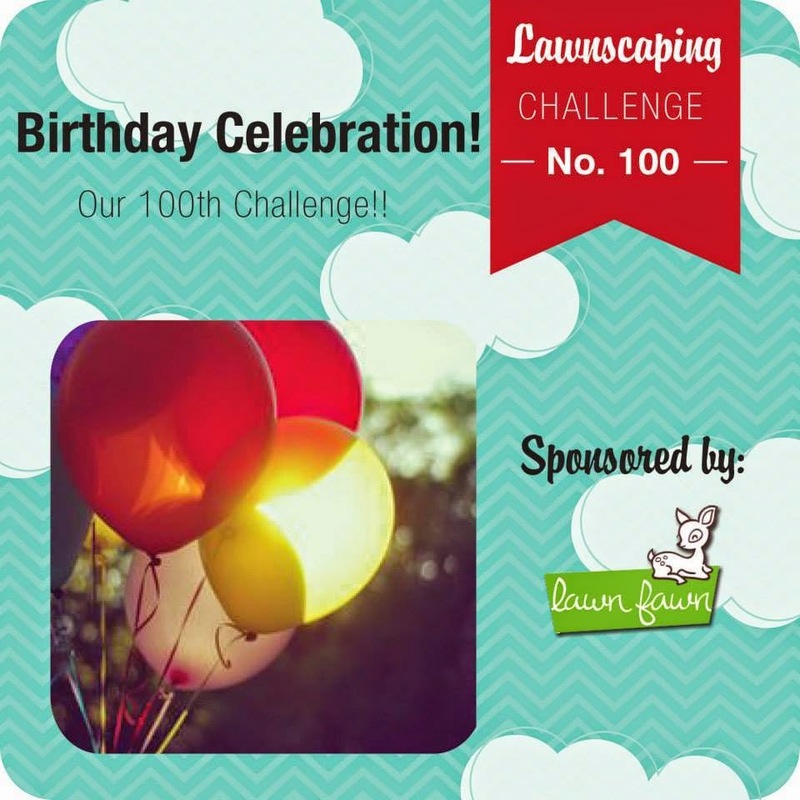 The Lawnscaping Challenge Birthday Celebration is in honor of their 100th challenge! To play along I created a winter themed birthday card for a sweet little girl that is about to celebrate her second birthday! I used the walrus from Critters in the Arctic stamp set and Critters in the Arctic Lawn Cuts, Stitched Hillside Boarders, and Tag You're it Lawn Cuts. Congratulations to the Lawnscaping team on their success! I think a lot of people are celebrating some pretty frigid birthdays this week! How perfect, Tammy! That little girl is going to love this Tammy! SO CUTE! Love your coloring on the walrus and those fun glittery balloons. Fantastic card plus! Precious! Fun card. Love your realistic coloring job on the seal! Now he is a little cutie with his googly eyes Tammy..love the dimension of the balloons and the sparkle..fabulous. I love this card Tammy! Gorgeous balloons. This is fabulous Tammy. 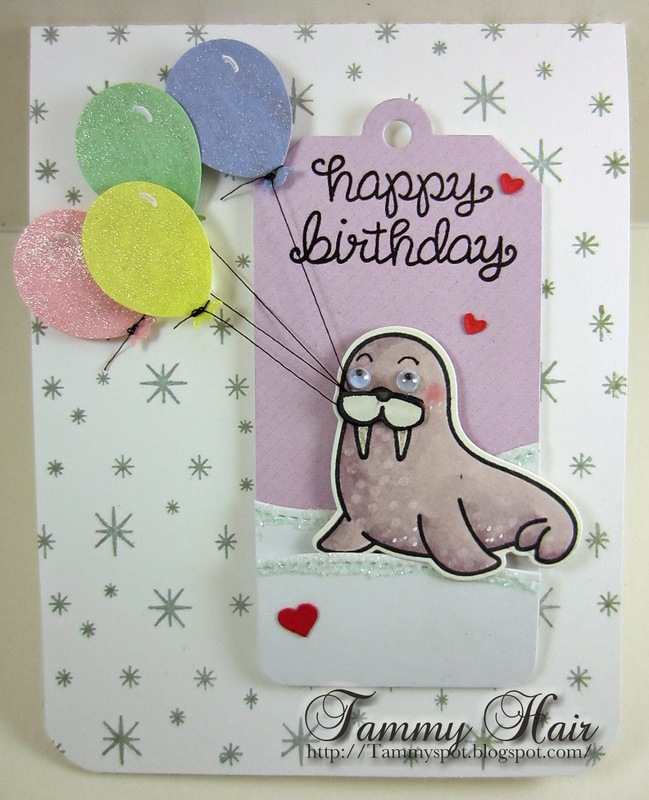 Such a cute walrus, I love his eyes and wonderful sparkly balloons. Tammy, this is just adorable! I love his eyes! I'm sure this card will be the favourite! Gorgeous card Tammy, I like the sweet image and those balloons. This is adorable! Love those squiggly eyes and the frosted balloons. I just love all those glittery pastel balloons! They look so pretty together. The walrus is cute with his googly eyes! It's currently 4 degrees outside and I'm not sure I could survive an Arctic birthday, but it seems to be working for this little cutie. But it's the perfect card for those frigid birthday celebrators!! Super fun card! I love rolly eyes on the walrus! The balloons are a nice added touch too! Thanks for playing the Lawnscaping Challenge! Super cute card. I like how you colored that walrus and the glitter balloons are perfect. Fabulous design Tammy, so cute! AWE!! Tammy, this little guy is so sweet with his wiggle eyes!! I love him sitting on the tag like that! :) SO FUN and happy birthday to little one! This is just toool cute!!!!! so cute! You did such a great job tying those little ties around the balloons! The birthday girl is going to love those googly eyes! Super cute! Love your amazing coloring and the sparkling balloons! Tammy! This is SO cute! And I love the googlie eyes you added! Perfect touch! Thanks for joining us at Lawnscaping Challenges! Once again the colouring of a total pro Tammy! A googly eyed walrus...what fun!